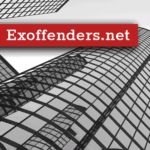 There is a lot of things happening here at Exoffenders.net. We’ve been doing a lot of work to our second chance jobs for felons section of the site. In addition to that, there are now re-entry resources for all 50 states. This was something the original creator of the site was working on but never finished. While it will never really be finished with new programs starting up and others closing down, we’ve done our best to build a comprehensive list. We have gone through the huge backlog of comments dating back to April. There won’t be a delay like that ever again. The local job search engine has had some modifications made to it and it should be a lot faster now. There’s going to be a lot of work done on that in the next week, so it might be unavailable at times. Hopefully this won’t last more than 10 to 15 minutes. Thanks to your feedback, we’ve been able to fix a lot of the issues it was having and improve the potential jobs it was showing. We’ve done a lot of work on our second chance jobs page based on your feedback. This is our main concern with this site, and we want to provide the most accurate information we can to returning citizens. We’ve also removed a couple companies. These are Wholefoods and Hilton. The last thing we’re working on is finishing up an education section with resources and information for ex-offenders wanting to go to school. This will have information about grants and what not that are available to ex-offenders. We’ll also have some information up about how to get your GED if you’re interested in doing that. Where have you been all my life! I am working in a county jail as a drug and alcohol counselor. We have started a reentry program and you can bet that all my guys and ladies will know about your sight within the next hour. Hey Dan, I totally can relate. I found this site after I was offered a job at Juffylube. I thought the offer was too good to be true so I googled if they hire felons and found this site. Unfortunately I lost the job a couple weeks ago. So I’m back on the job hunt. But yes, I don’t feel so alone anymore. Thanks for this site!!! I’m so thankful for it! !